Finally finished up this beast after two years of futzing around. I need to take her on her maiden voyage still and the wiring could use a little cleanup, but everything appears to be running and functional. 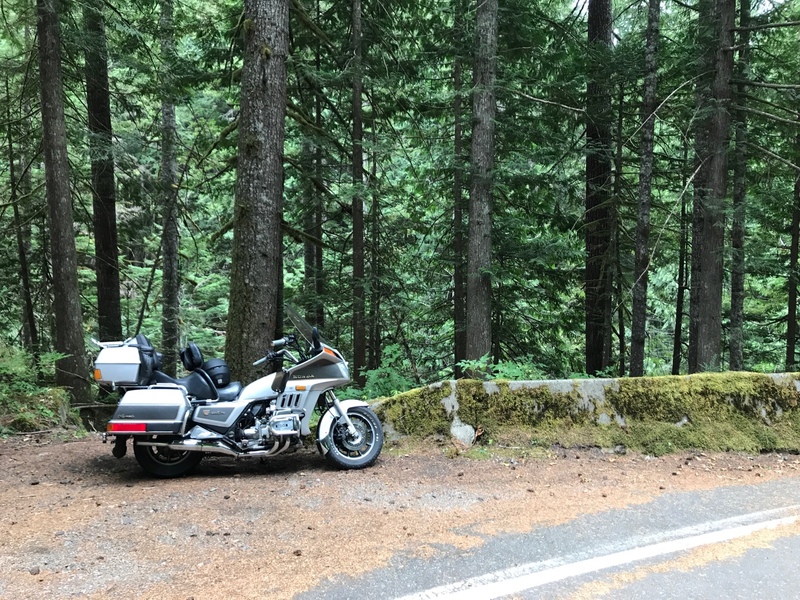 Couple shots from a recent road trip through Northern California, Oregon and washington. Met up with some friends in Oregon to watch the eclipse. I love this bike. The grey motor, lighter grey tank and white seat work so well together. Shouldered alloy rims would look great on it too. Lol thats all changing. Seat black, tank blue, frame silver, and engine black. Yup. I like the concept and the lines really flow well to my eye! Carry on Sir.